Right in the heart of Montreal’s « Plateau Mont-Royal » district. 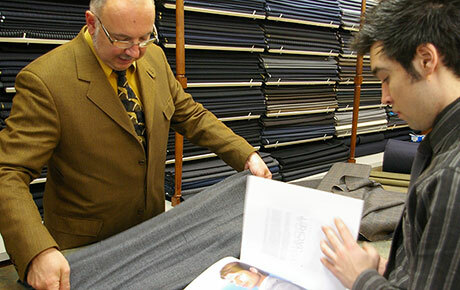 The tailor shop Gérard Mayeu & Fils opened its doors in 1946, at the same place it is today, on the Mont-Royal avenue. 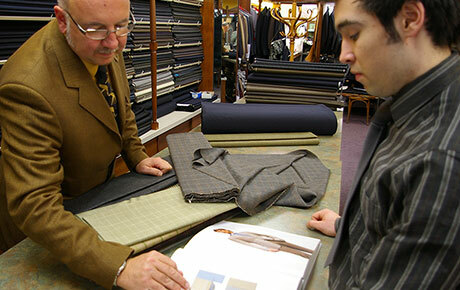 Two generations of Mayeu tailors have dressed countless Montrealers and continue to do so. Today, Robert, son of Gérard, pursues a tradition of quality in the accomplishment of a task of utmost importance to all men of taste : being well dressed. Average clothing imposes its own choice of fabric on you. It is, in some way, everybody’s clothing. 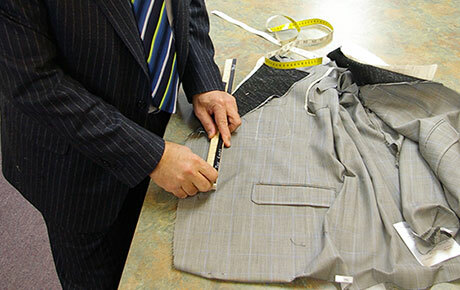 Ready-to-wear clothing has its own cut. You make do with what you find. On-measure will bear it’s name well if the body is measured with precision by an experiences tailor. 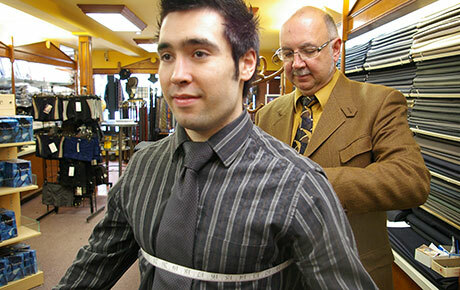 Trying your suit on allows the tailor to verify all the small details that will let your suit stick to your body perfectly.